Days after India’s Minister of State for Civil Aviation Jayant Sinha told Parliament that there was no proposal for the Airports Authority of India (AAI) to acquire a controlling stake in Sri Lanka’s Mattala Rajapaksa International Airport, a Sri Lankan Minister said talks on the project are “progressing” with India. 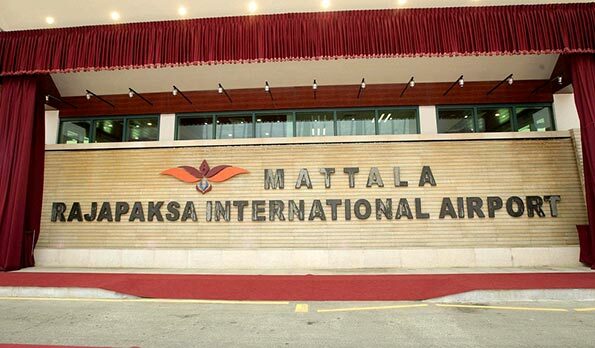 Mr. Sinha’s remarks last week came at a time when three rounds of official negotiations were completed on a likely joint venture between the AAI and the Airport & Aviation Services in Sri Lanka, to run the loss-making Mattala airport, located in Sri Lanka’s Southern Province. The Minister’s response to a question raised in Parliament, saying there was no such proposal, sent confusing signals to Colombo, where top government officials are under the impression that the deal is nearly final. The Indian government is yet to respond to the Minister’s remarks. Queried by the local media on the development, Transport and Civil Aviation Minister Nimal Siripala de Silva said the discussions on the development project of Mattala Airport are still under way. “Most probably, the Indian Minister of State for Civil Aviation would have made such a statement to the Indian Parliament since the agreement between two parties is yet to be finalised,” he said, according to a report published in the local newspaper on Friday. The two governments, after detailed negotiations, have agreed that India, with a 70% stake in the joint venture, will contribute $225 million to revamp and run the airport, while the Sri Lankan side will invest the balance. India will operate the airport on a 40-year lease, as per the draft agreement, a top Transport and Civil Aviation Ministry official in Colombo told The Hindu, clarifying that “nothing has changed”. Following an experts’ report that will look into technical aspects of the joint venture, the draft agreement will be presented for Cabinet clearance. Minister Siripala de Silva earlier told Parliament that he would table the agreement in the House, and act with “utmost transparency”. It is an open secret that New Delhi’s strategic interests in running the airport, located near the China-controlled port in Hambantota, outweighs commercial considerations. The matter also remains highly sensitive in the island, since opposition forces, backed by former President Mahinda Rajapaksa, have objected to the “sale of national assets” to foreign countries. Addressing a public rally on Thursday, Mr. Rajapaksa urged foreign countries not to accept any asset offered by the Sri Lankan government. “We will pay attention to these agreements when we come [back] to power,” he said, according to local media reports.